See great films: Watch this space to see this year’s lineup of films for the Water Docs Film Festival. 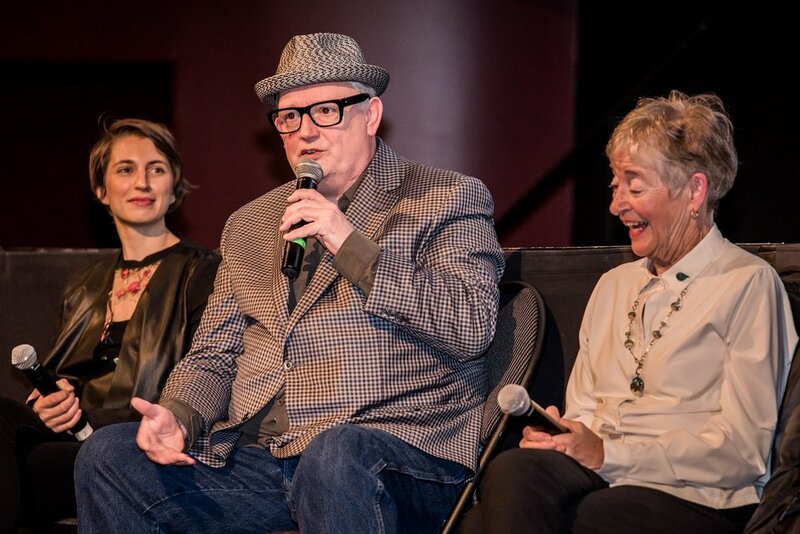 You’ll find an unprecedented collection of shorts, features, art, and events all about how water connects to our lives. Get a pass: Until February 15, get a pass to the whole festival for $30, a savings of $10. There’s Still Time to Double your Impact for Water Education! A HUGE thank you to everyone who donated to our Water Docs @ School Action Projects Program on Giving Tuesday! Our Board of Directors will continue to match - DOLLAR FOR DOLLAR - every donation we get for this fantastic water education program from now until the end of December. Check out the details of the campaign below and double your impact for water education before the end of the taxable year. 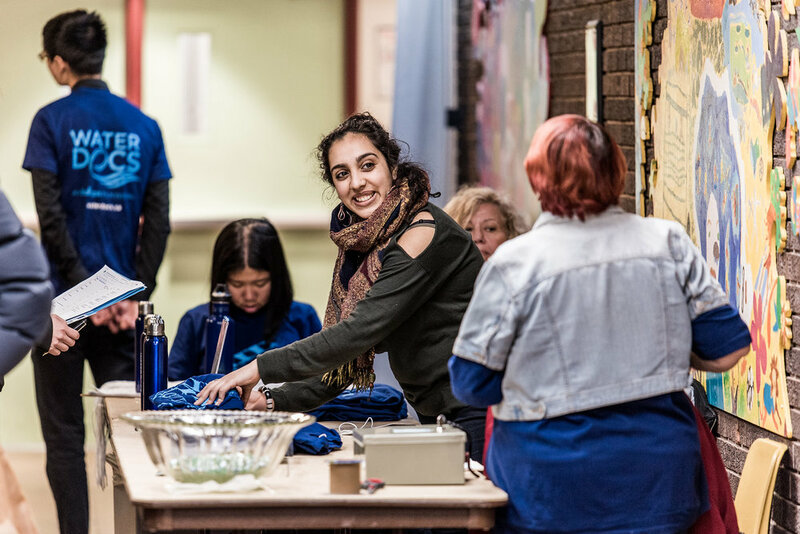 This year, all donations from our end-of-year fundraising campaign are in support of our Water Docs @ School Action Projects program, which is a cost-free program for Ontario Schools that uses a unique, hands-on approach to bring young people into a close relationship with water, building their understanding of water systems while instilling a passion for water stewardship. Why did we select the Water Docs @ School Program for our end-of-year campaign? The human relationship with water is broken - if we cannot heal that relationship, human beings will continue to act in ways that are destroying water ecosystems around the world. The healing starts with our young people and the adults who support them. You can't dump plastic into waterways if you understand the deep impacts that doing so has on wildlife. You can't sell groundwater to giant companies when you understand that water is here to support life, not corporate profits. You can't ignore the fact that some people have no access to clean drinking water when you understand that water is a right for all living beings on Earth. When you understand that WATER IS LIFE, you work to protect it. We have left upcoming generations with an unprecedented environmental mess that they will have to clean up. We have a responsibility to support them by giving them the tools and the knowledge they need to move forward together in a way that serves all life on the planet. That is what our Water Docs @ School program has been designed to do and starting on Giving Tuesday and until the end of the year, you can help us to expand our program with your generosity. $30 helps distant students attend their Recognition Day in the spring, to watch the winning films and hear inspiring speakers. $50 buys a water testing kit for a class project. $200 helps to buy a smartphone for students who need access to filmmaking equipment. And because our Board of Directors is matching your gift from now until the end of December, if you donate $30 to send a student to their Recognition Day, you will actually be sending two students. Together we can protect water (and therefore life) for generations to come. Will you double your impact for water education this Giving Tuesday and beyond? Will you support the young people who will grow into tomorrow's water stewards? We currently have 2300 participating students across Ontario and, with your help, we can make that number grow. Please read more about the program and double your impact for water education! 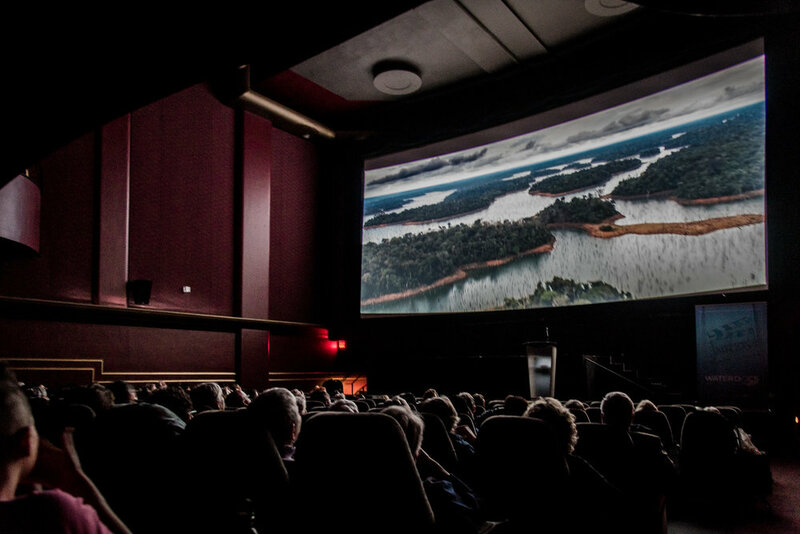 The Water Docs Film Festival presents Canadian and International features and shorts about water, engaging discussions with filmmakers and special guests, a Water Warrior Award and opportunities to take action to protect water. Be the first to know - we’ll be sending announcements about programming and special guests as well as running ticket giveaways through our newsletter. Sign up for our monthly newsletter here. On August 20 of 2018, a 16-year-old from Sweden began skipping school every Friday to sit steadfast outside the Swedish embassy, with a painted sign and some flyers, in protest of inaction on climate change. Greta Thunberg was specifically calling out the failure of politicians to bring the country in line with the Paris climate agreement. "Here is a new #challenge for all you bored teens," Román posted on Facebook. "Take a photo of an area that needs some cleaning or maintenance, then take a photo after you have done something about it, and post it." Nearly a tonne of waste is generated per person in Ontario each year. If we don’t have the facilities to deal with it and it’s increasingly becoming a state of emergency for the environment - why not just ban it? This is exactly what Ontario is now eyeing with the NDP poised to introduce a private member's bill that calls for the phase-out of single-use plastics by 2025.